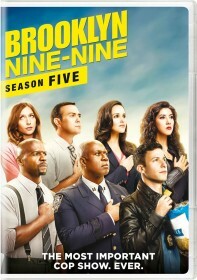 FOX has issued the press release for the March 1 episode of Brooklyn Nine-Nine, "Cheddar". Jason Mantzoukas (The League) continues his guest arc as Adrian Pimento in the episode. Holt allows Amy and Jake to house-sit for him while he visits Kevin in Paris, but mayhem ensues when Holt's beloved dog, Cheddar, goes missing under their watch. Meanwhile, a romantic fling between Adrian Pimento (guest star Jason Mantzoukas) and Rosa disrupts Terry and the rest of the precinct in the all-new "Cheddar" episode of BROOKLYN NINE-NINE airing Tuesday, March 1 (9:00-9:30 PM ET/PT) on FOX. Holt allows Amy and Jake to house-sit for him while he visits Kevin in Paris, but mayhem ensues when Holt's beloved dog, Cheddar, goes missing under their watch. Meanwhile, a romantic fling between Adrian Pimento and Rosa disrupts Terry and the rest of the precinct.